Cost accounting is an important part of accounting. For every business it is important to control costs, which is not possible until the business understands them well. There are many types of costs that differ from business to business. Understandably, the costs incurred increase as a business increases production. However, marginal cost (cost for each additional unit) may start declining if a business is able to achieve economies of scale. Fixed costs are the costs that are fixed and do not change with a change in production quantity. Some examples include; rent and manager’s salary. Understandably, rent would not increase if you increase production. However, it would increase if the production reaches a stage where you have to rent more space to accommodate the goods produced. At this stage it will turn into a semi-fixed cost. Variable costs, as the name suggests, are the costs that are directly linked with the output. These costs increase with an increase in output and vice versa. Some examples include raw material. If a business wishes to produce more goods it will have to buy more raw material that will result in its variable cost increasing. In the same way if it wishes to reduce production it will have to spend less on raw material that will result in its variable cost decreasing. The cost of choosing one thing and letting another go is known as opportunity cost. Technically, this cost does not exist as one does not have to pay anything, which is why accountants do not take this cost into consideration. However, economists and managerial accountants consider this cost when making business decisions. The best practice is to take this cost into consideration as it gives a clearer picture and helps take correct decisions. For example, if you have an empty space with two options (1) to open a coaching center (2) to open a gym and you decide to open a gym, then the revenue you could’ve earned by opening a coaching center is your opportunity cost as you had to let it go to choose the other option. Sunk cost is a cost that has been incurred and cannot be recovered, for example, paying for insurance in transit and the goods reaching the destination safely. The insurance cost is a sunk cost because it cannot be recovered even though it did not turn out to be very useful. In addition to all these costs, there are several other costs that are directly associated with running a business. 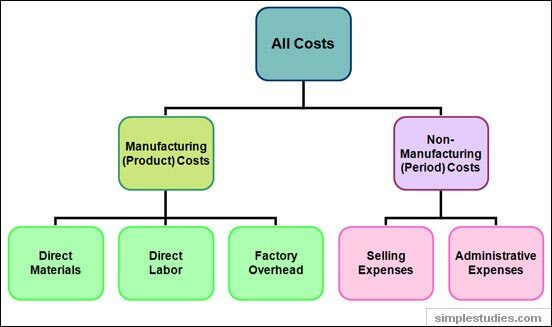 They include; operational cost and manufacturing costs. Additionally, they should also be able to differentiate between costs and general expenditure as everything that a business incurs is not necessarily a cost that should be taken into consideration when managerial decisions are being taken.